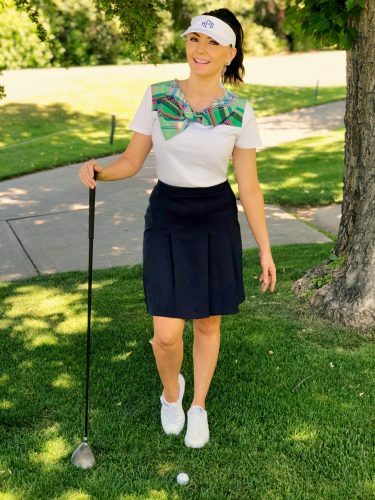 Cute and preppy ladies golf outfit! Shop my out fit below! Yep, today I’m country clubbin it with my two loves, Shawn and Everly. 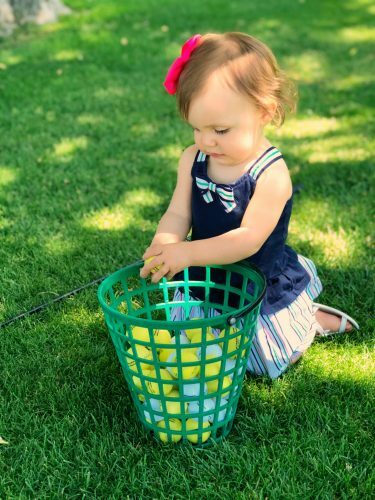 I’ll be honest and say that life isn’t perfect, but your golf outfit can be! Up your game and ditch the boring and basic golf attire. 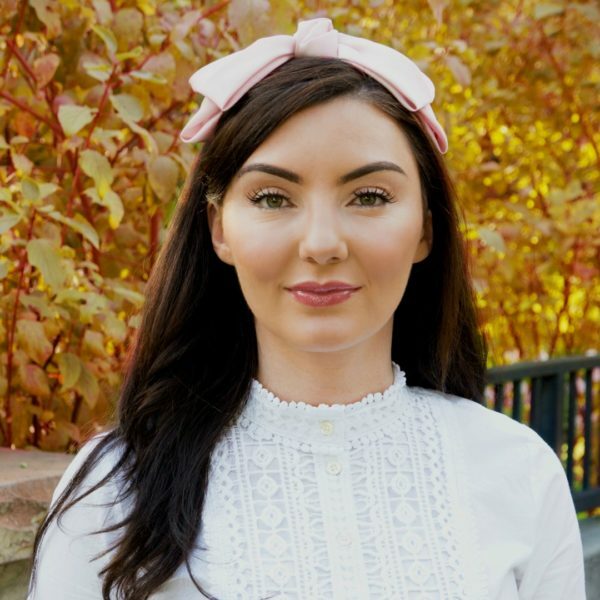 I chose to wear this darling plaid bow tee ( available in 3 COLORS) with my golf skirt to give my outfit a little sass and sweetness. I plan on wearing this all summer long, both on the course and off. Also, if you’re going to wear a visor, have it monogrammed for FREE from Marley Lilly! It’s currently ON-SALE and it has a bow in the back instead of velcro! 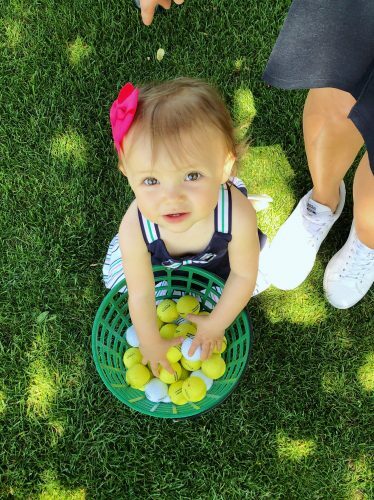 Check out the video of Everly’s first golf swing, it’s absolutely adorable!! !